With the average temperature being 106 lately, this summer has been screaming for water activities. 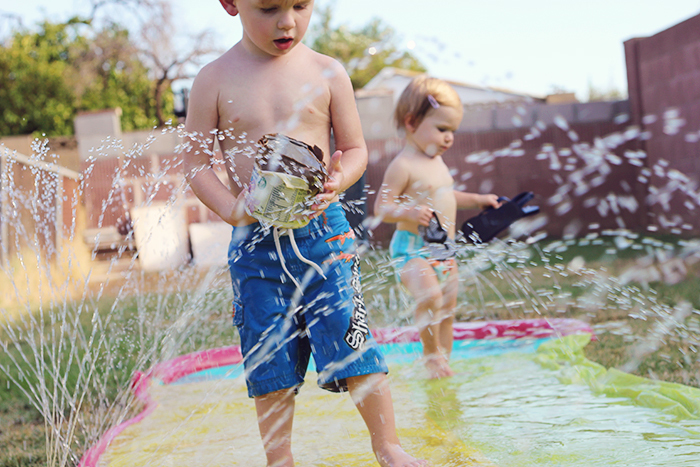 Splash pads, pools, sprinklers, you name it. We're all for it. The slip 'n slide we bought for Sloane's birthday party has proven to be one of the best purchases of the summer. Fox and Sloane loooooooove that thing. They've been hitting it up in the mornings, as well as the afternoons, lately. Plus, it's seriously doing wonders for our back lawn. I thought that grass was beyond saving -especially since we never watered it the first five months we lived here (oops). But, after a day of using the slip 'n slide, we saw green! And now the whole lawn has been revived. Thank you, slip 'n slide and wimpy sprinkler from Walmart. 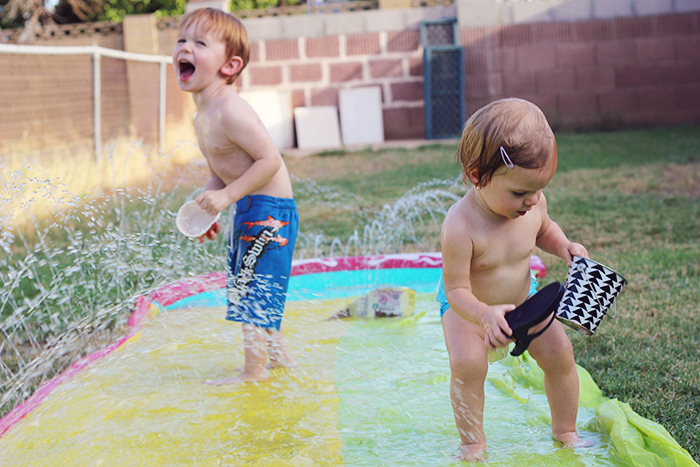 You've been keeping us cool this summer (in so many ways) and have brought life back to our backyard. How have you been keepin it cool?